The morning begins with 6 ducks swimming right to left in the lake at the end of the field. Then shortly afterwards 8 ducks swim back in the other direction. I am on pause. At 5 in the morning, after weeks of travelling and seeking I am slumped in a chair in front of the familiar view. A pair of larks flit across the gorse at the side of the hill. A blackbird stands alert under the willows. The golden reeds facing east, usually subdued by shade are lit up by the rising sun. The house is quiet and I pad around looking for wifi. My plan is to download another New Yorker author reading a chosen short story and return to the leaba. The sunny morning seeps in and instead I reach for the camera. It’s still cool but the sun is up now, and the wind so far is being kept at bay. The wild garden, tamed by ground cover this year is allowing the flowering plants more room to breathe. And so am I this sunny morning, breathing, slowing and settling. Last year more photographs were taken by us humans than all the photographs EVER taken in all the years before that. We are all now part of an enormous visual community capturing our everyday lives digitally. And so here is my everyday stuff. 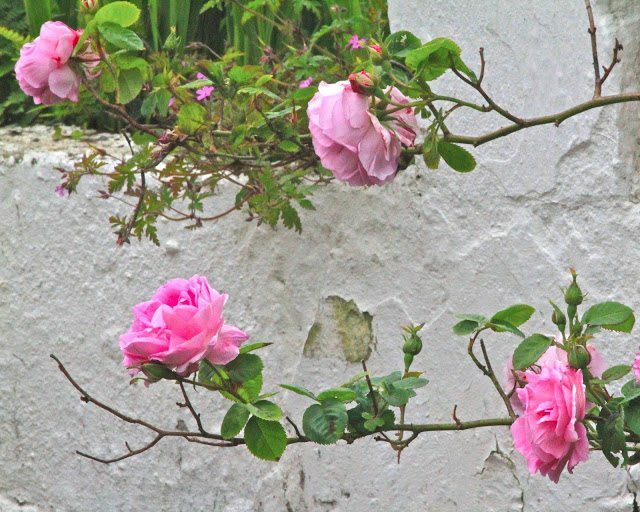 Not much stirs here, but if it flutters or flies, I will be there soaking in the intensity of my Irish country garden. Gorgeous place to sit and gather calm thoughts. Beautiful , crisp , relaxing photos ! So beautiful. Sounds like a perfect morning. 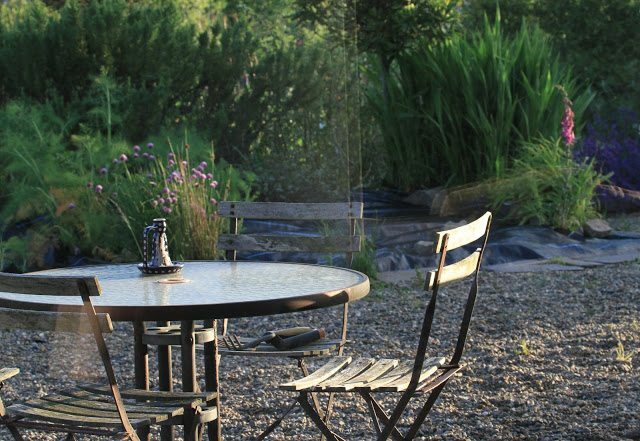 This is where my heart lies…an Irish country garden. Thanks for inviting me. There's nothing like coming home and meditating on ones surroundings! Of the most wonderful pics I've ever seen on blogs…I'm really impressed! What a wonderful place to come home to. All the photogrpahs are superb, but that one of the single foxglove takes my breath away! Such beautiful photos, it sounds heavenly right where you are. Lovely pictures, as always. It's pouring here, so I'll have to get my fix of summer vicariously for now. Wonderful photos! Isn't the digital age great so we can revisit the mood of the best moments even when they are long gone. 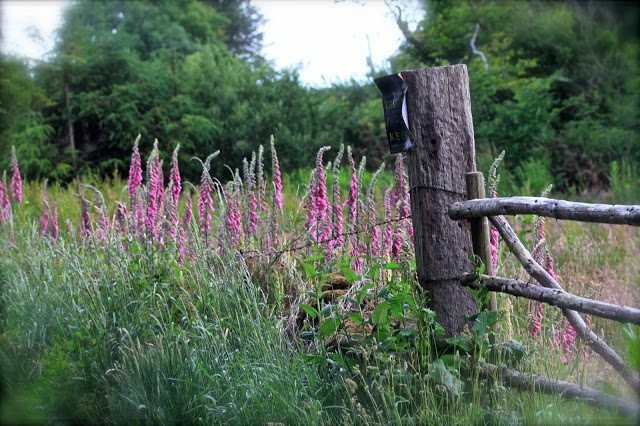 Super photos, especially like the one of the foxgloves in the hedgerow. Love the mood of the last one. Especially with the tools on the chair. Just like the end of a productive day! And I just LOVE the fact that so many people are taking photographs! I think that says something positive about our world! Stunning pictures and there is something special in the early morning light. Absolutely beautiful photos, with such lovely colours and light. At 5am though, I'd be fast asleep and missing that golden hour. 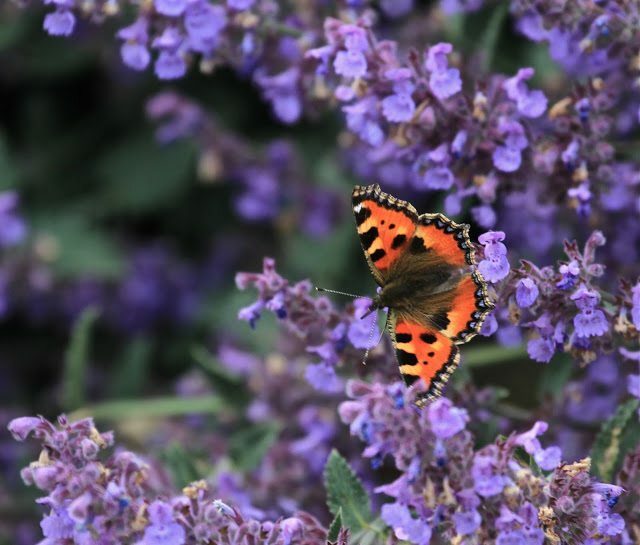 Such beauty in all of the images….. but the butterfly just stops me in my tracks! WOW!! I'm glad your camera won out over a book (this from a former librarian!! tsk tsk). You have again captured incredible, light-filled images. I often try to emulate your style but can't do it. Maybe I should try getting up earlier ….like 5 a.m……… (groan)………. Thank you so much for taking us along through your morning and your garden. What a sensual delight. All those photographs are taking us on a daily journey to enchanting places we wouldn't otherwise be able to enjoy. 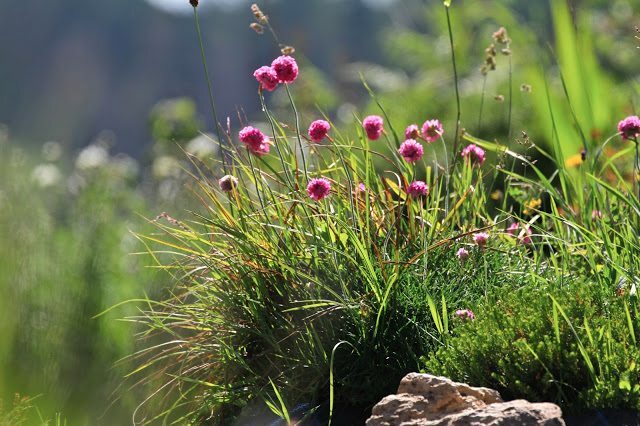 Sounds like a lovely way to start your morning, your garden is looking pretty. I love cottage gardens, and indeed tended one over 20 years but there's so much work in the early winter, hence I've changed to a more Mediterranean style. But, I still enjoy looking at cottage garden style and this one is an utter delight. And my favourites – the shots of the Foxgloves. 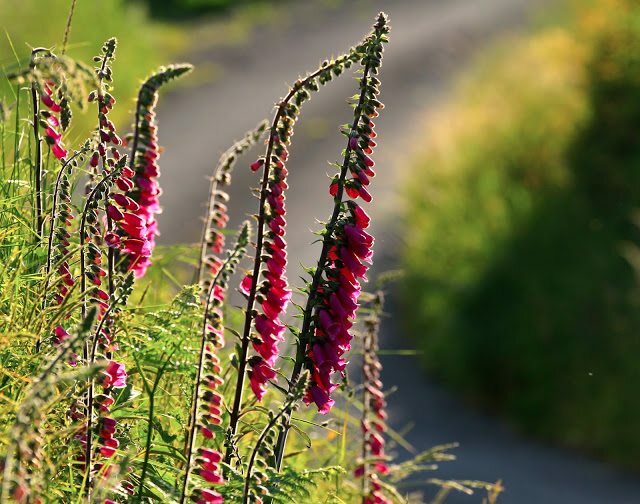 First: the early morning is the best part of the day, second: a countrylife with foxgloves and birds in your own garden is the best life you can have. 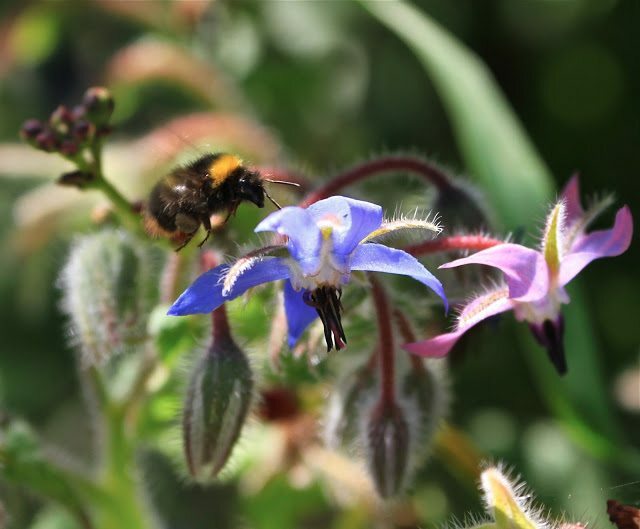 Gee, I think that bee photo is spectacular. I can see why you want to capture these moments….I miss the Irish mornings I remember on my visit. Stunning reminders of a slow ease into the day! Unlike so many of the millions of photographs taken last year these are exquisite images Catherine. It worries me though that seemingly nothing is deemed to actually have happened these days unless we share a photo of it with the world … that's scary stuff!